Download the complete free report. 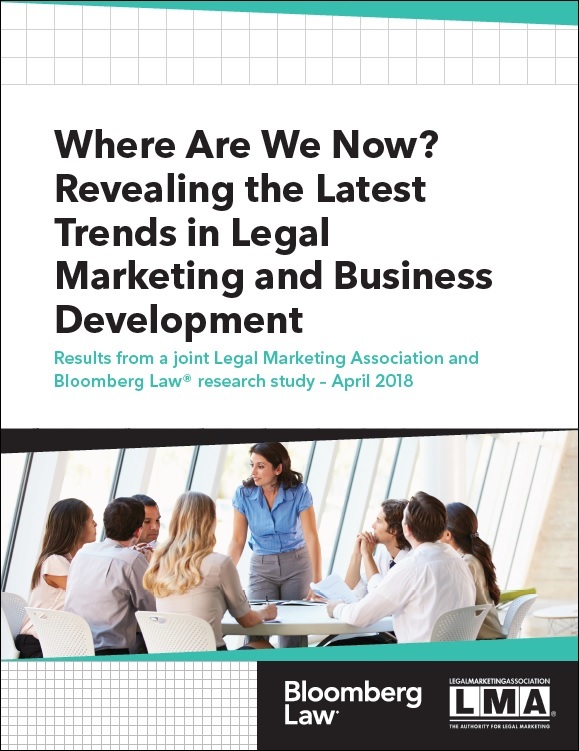 In this 2018 joint survey from the Legal Marketing Association (LMA) and Bloomberg Law®, we look at whether law firms are investing in marketing, shifts in marketer roles and responsibilities, their relationships with attorneys, and the increasing role of technology in marketing and business development. We take a pulse on the current state and analyze trends since our 2016 survey. With responses from 190 marketers and 135 attorneys, the results highlight where their perspectives align and where they differ. Overall, it’s clear that the pace of investment in marketing/business development and emphasis on these functions at firms of all sizes does not seem to be slowing down. And this knowledgeable group of professionals continue to gain traction, voice, and influence. Download this complimentary survey report to get a comprehensive look at trends and challenges impacting legal marketing and business development professionals.